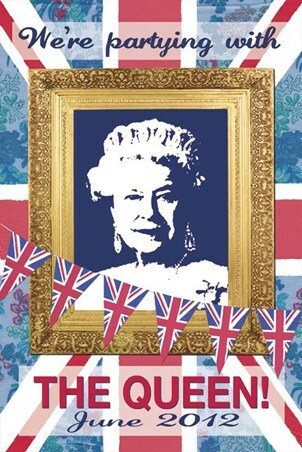 Celebrity Maxi Poster: Celebrate the Diamond Jubilee of Queen Elizabeth II with this wonderful piece of art by the acclaimed artist Martin Wiscombe. 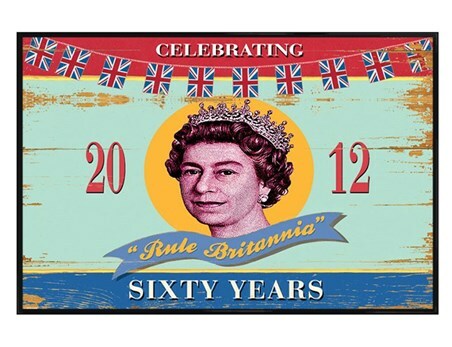 It features a central image of the reigning monarch with the crown proudly laid on her head. 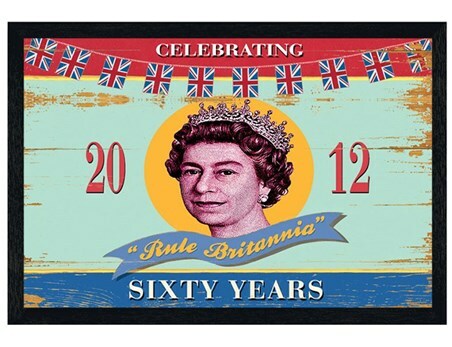 A banner across the bottom reads 'Rule Britannia' and 'Sixty Years' and the whole image is stylised as a whitewash wood frame. 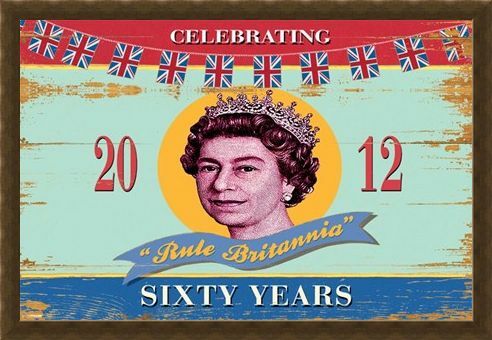 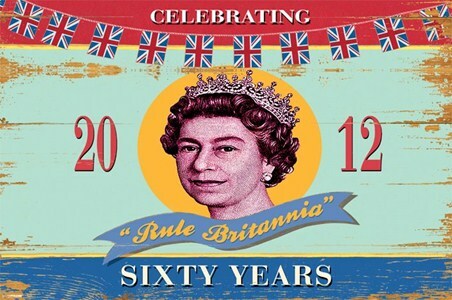 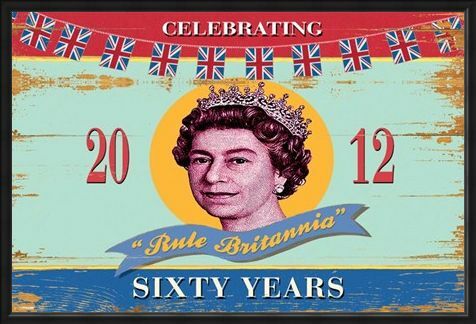 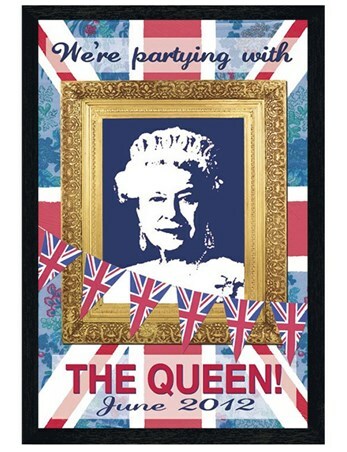 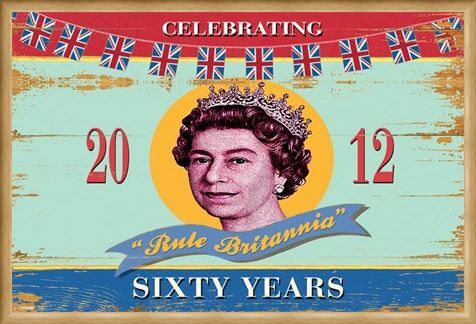 Combining vintage class with the modern, British culture, this unique poster will make a proud addition to your home in time for the Diamond Jubilee. High quality, framed Rule Britannia, Martin Wiscombe poster with a bespoke frame by our custom framing service.